Consider adding a special dedication to the backside of this Bar Mitzvah invitation at no additional charge! 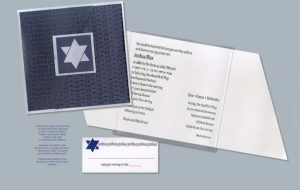 This unique Bar Mitzvah invitation features a navy/white duplex tri-fold invitation printed in navy ink with the Bar Mitzvah’s name in English and Hebrew and a silver Magen David appliqué over the edges of each side of the invitation as they fold to the front. Your invitation wording is printed inside and the invitation is backed with a square silver matte back card for weight and border presentation. Measures 6 1/4″ square. Shown with Navy Blue ink and typestyle Bedrock for English typesetting on front and inside. 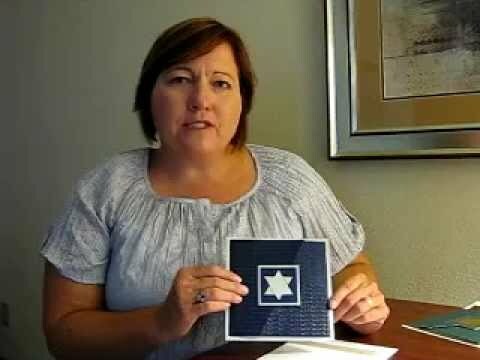 Single white linen-finish envelopes accompany this invitation. Please note: Design (as shown on place card on large image) may be ink-printed on accessory cards upon request. Otherwise, accessory cards will be printed with wording only. 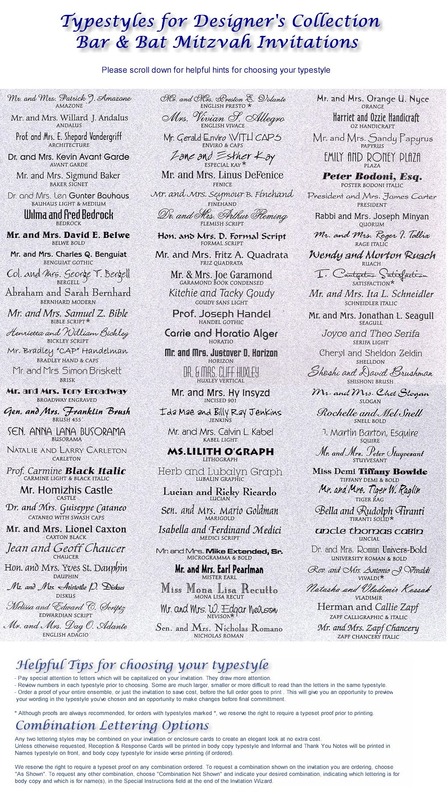 Please allow additional time for production of this invitation. Due to the square shape of this invitation, additional postage is required for mailing. Please consult your local post office branch for details.